The Supreme Grand Prior of the Order, H.E. Richard Comyns of Ludston GCLJ GCMLJ, assisted by the Grand Chancellor and the Grand Secretary of the United Grand Priories, officially approved the consecration of the second Grand Priory of the Order in the South Americas, namely the Grand Priory of Argentina. This landmark occasion was performed in the 2nd of October 2010, during a regularly held investiture of the Order which saw the Order’s long time member Confrere Ramiro Anzit Guerrero CLJ being invested in office as the Grand Priory’s first Grand Prior. 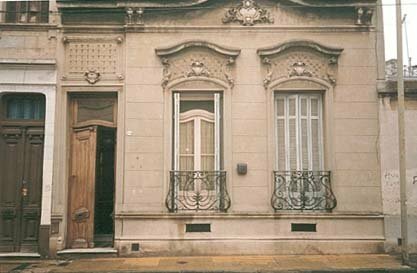 Four other Argentinean members of the Order were also approved as fit for office in the newly constituted Grand Priory. The Order’s work in Argentina has, to date, been centred around Hospitaller work in the impoverished regions of Argentina’s cities. One needs to particularly mention the excellent assistance being given to the Solidarity Hostel in the city neighbourhood of Constitucion in Argentina. This shelter from discrimination is run by a Lutheran pastor, the Reverend Lisandro Orlov and the Lazarite officers have been actively assisting him in this sterling project which houses men regardless of age, sexual orientation or religious faith. It is envisaged that the next Investiture of the Grand Priory of Argentina will be held in August 2011.